If you saw the smooth scrolling of Nemesis in the C64 version, you wouldn´t see things that way. One of the best R-Type versions is the Speccy one. Because of the work the programmer did. Remember Green Beret? 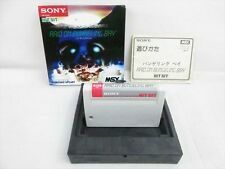 Surely you will not remember the MSX one. A Konami game with a great C64 conversion. The C64 is a outstanding gaming machine released two years before the MSX. 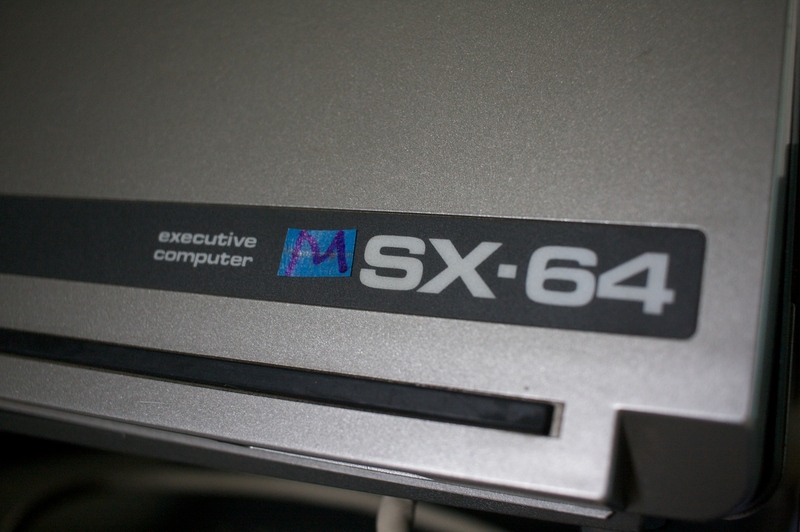 I did had a 64 before I bought an MSX in 1985 and I did´nt bought the MSX because of its splendid hardware. But it is too late to start another war ´bout the best computer. Microsoft won. Until Apple resurrected. I see that C64 and MSX (and Amstrad, Specci and so on) have much in common, thanks to a industrious community. I did´nt expect to see so much brilliant new software in 2017 and also such a lot great hardware for our old systems. No need to overrrate one or another system. But as it seems, we don´t get tired to discuss the differences between us. maybe you will grin a litlle less when you see the next video of the serie saying "sprite multiplexing" on knightmare. I must admit that i'm surprised in what the thing works well even if it is clear that c64 CPU is clearly 'suffering' trying to keep up with this sort of trick. infobox: "Yes, I'm cheating. But these are all the boss fights rewritten in C(++). As well as everything else"
It was clear that neither the tms screen or vic-ii screen were the real thing. But what does it mean FAKE ? Does it mean that is *NOT* possible or real hw or simply does it mean simulated but doable on real hw ? This is not my personal war with you hit9918. I'm only objective. About the demo, i cannot say if there is enough space to make the demo a real game and not a proof of concept. About the c64 mx spr demo it is the same. I expect that the sprite sorting routine MUST WORK with the correct timing on the c64 original CPU. otherwise, is a USELESS video. But the author claim that it does work, without inner details i cannot nor agree or disagree if possible. The same apply to the msx demo. I've no data to tell you, "works and we have 30 T-states left to be used for game logic-> use less" or "works and we have a 80% CPU time left to do others things". But, on c64 demo, considering the simulation timings coherent with the real hw, for me it's not a FAKE as you told me. It will be a FAKE only if the c++ simulation performs calculations in a time shorter than real cpu. otherwise it is ok. Anyway, i think you agree that, the presence of scroll registers in both directions allowed tms to easily keep up to the VIC-II in scrolling and the same is true for the very small improvement in sprite area. those improvements are not constly as they appear,especially taking into account the progress in LSI chip density available 5 years after the tms was realized. IMHO Karl guttag make its bests efforts to not enhance the TMS as proved by a document reporting an interview. Without any doubt C64 has better VDP, but remember also, a lot of games are 160x200 or 152x200. This is a special mode available on 64. We have a similar mode but is 64x192. In this way we can have a sort of bitmap. I don't know any games with this structure, but should be interesting anyway. Game like "Msx Mini Ghost" are instead difficult to realize on 64 always for a different mapping on VDP. Artrag with his Uridium and with a lot of demo has show us that fine scroll is possible with great effect.